We’re also invading The Base for 2017’s very first Friday Night Show where we will hype first prize and giveaway 2nd and 3rd prize live. 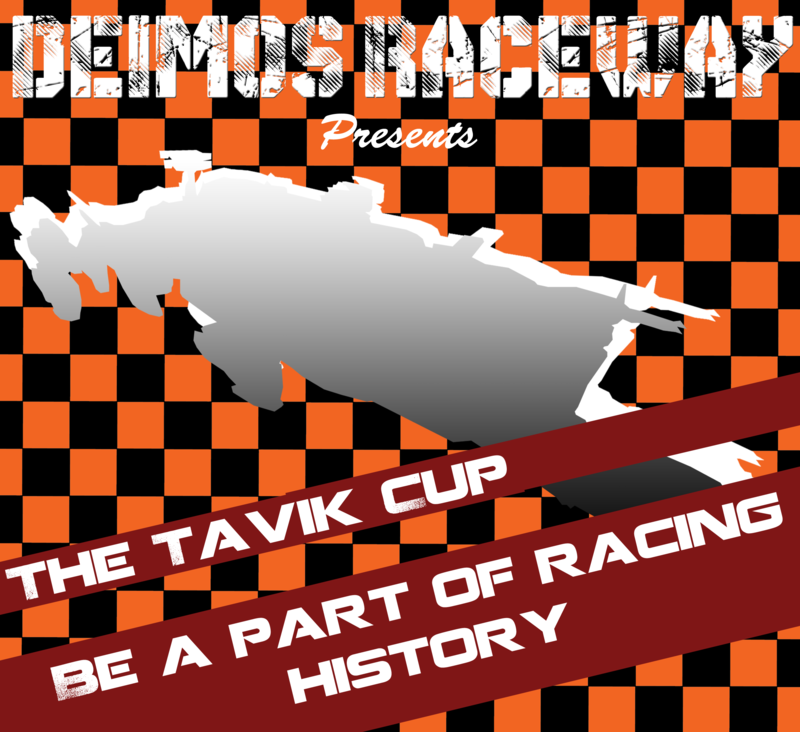 Rumor has it there may be some other prizes as well. Then, on Sunday the 15th, we’re joining Gyun Nah on The BASEment to hang out, talk about INN, and give away the Banu Merchantman! You don’t want to miss this! Described as more than just a ship, it’s a home and a way of life. If you want to become a trader and merchant in Star Citizen’s persistent universe than this is the ship for you. The Merchantman is a traveling market, capable of landing or docking to invite the locals on board to view the products and negotiate. The ship design, perfected by generations of Banu development, is intended to offer a combination of high speed and durability. While the Banu is less configurable than a Caterpillar or a Starfarer, there’s still plenty of room to take the ship in different directions. From black market trade platform to deadly q-ship, it’s a force to be reckoned with! The Anniversary Banu Merchantman comes with 48 months of insurance, and a VFG Industrial Hangar! This special edition Aegis Gladius was given away exclusively during the 2016 Anniversary sale. This Gladius comes equipped with a specialized dogfighting focused loadout and a custom special edition paint job. 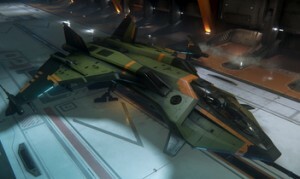 The Gladius Valiant is available to fly in Arena Commander and the PU Now! Also, you can also increase your odds of winning the first prize by entering the drawing up to one additional time per day up until January 15th by sending out ANY tweet which mentions @INN_Authentic or @WolfLarsenSC AND the URL to this page with that image! That’s all there is to it! The winners of the Second and Third prizes will be pulled on Friday December 13th live during #TFNS on The Base. First prize will be drawn on Sunday, January 15th and announced on Twitter. 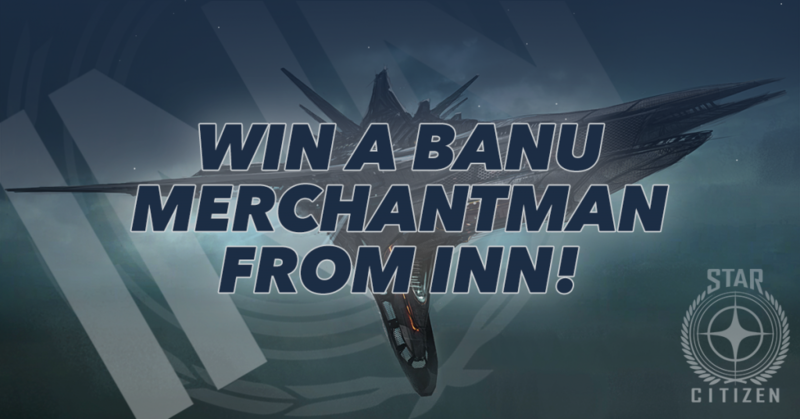 Remember: if you’ve already signed up for an INN Ship Give Away Drawing in December, you are still eligible for all other drawings so long as you don’t withdraw AND fulfill the additional eligibility requirements for this drawing. Drawing and Awarding of Prize(s): One first prize winner will be chosen from all entries on Sunday, January 15th, 2017. The drawing and awarding of the prize will be conducted by a representative of INN Publishing LLC whose decisions on all matters relating to this drawing are final. The winner will be notified by Twitter. The winner will have two weeks to accept the prize by providing their email address for transfer. If a winner does not accept the prize within such timeframe, the prize will be forfeited. Acceptance of the prize indicates acceptance of all the contingencies described herein and inherent to the prize offered. The second and third prize winners will be drawn on the air, live during the Friday Night Show on The Base on Friday, January 13th, 2017. Last day to enter for the 2nd, 3rd, and bonus prizes is Friday, 1/13/2017. Last day to enter for the grand prize is Saturday, 1/14/2017. Indeed, happy birthday INN! And cheers to the amazing guys at RoL. Happy Birthday INN! May you have centuries more success!